How to apply Sound Effects in Samsung SUHD 4K Curved Smart TV JS9000? 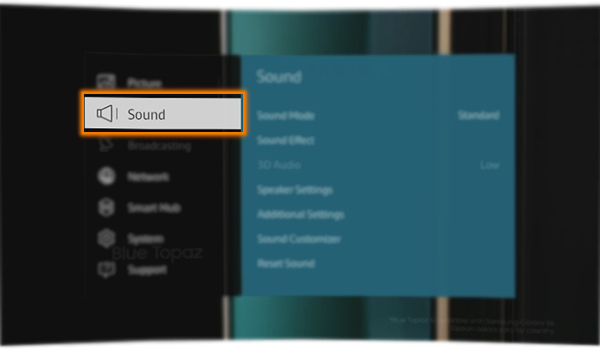 CLICK HERE to select Sound mode in Samsung SUHD 4K Curved Smart TV JS9000. 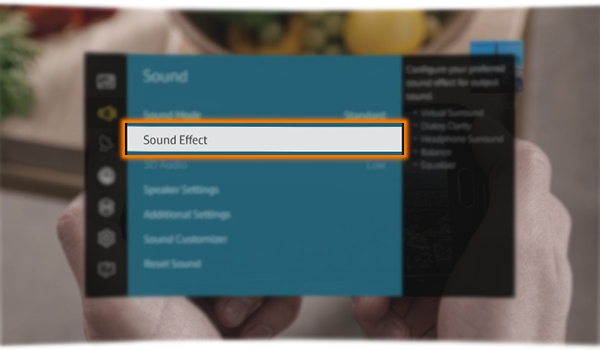 NOTE : You can apply sound effects to alter how the TV emits sound. a). 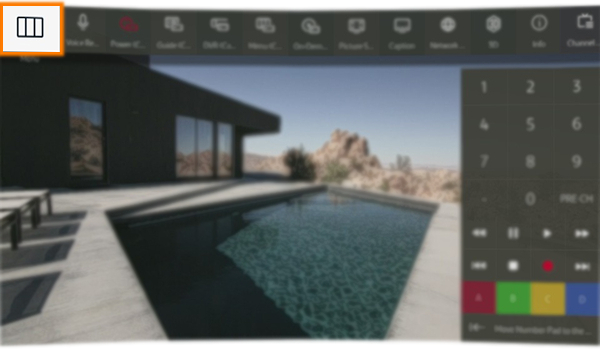 Press the MENU/123 button on your Smart Control Remote. b). Select MENU as shown below. c). From the Main menu, select Sound. e). 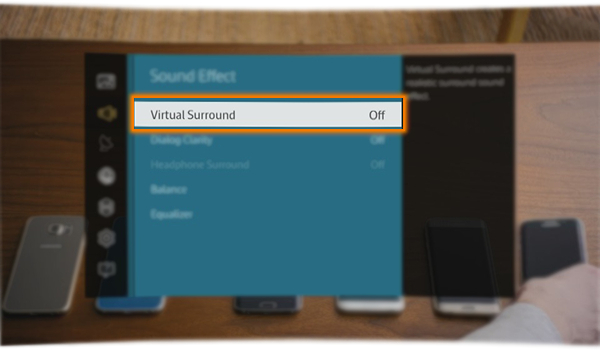 Virtual Surround produces sound that makes you feel like you are sitting in a movie theater or concert hall. f). 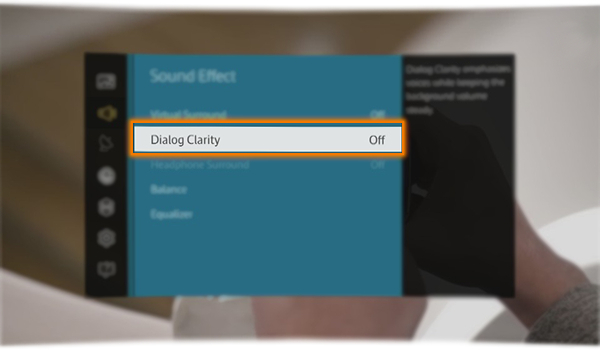 Dialog Clarity increases voice intensity to make dialog clearer. g). 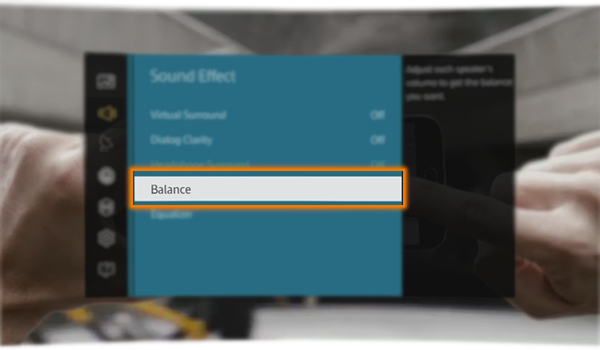 Balance allows you to adjust the sound settings of the left and right speakers for a better sound balance. h). 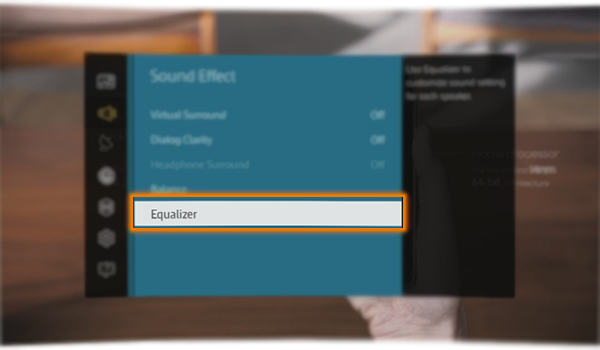 Equalizer allows you to adjust the loudness of specific frequency ranges to control the richness of the sound. NOTE : This function is not available when you are listening to audio through external speakers. This function is only available when Sound Mode is set to Standard. How to use Multi-Screen in Samsung SUHD 4K Curved Smart TV JS9000?